A personal look at the many stunning faces of Sanur, Bali's original beach resort village and a place which for more than eight decades has been the Balinese hangout, home and elegant destination of choice for the world's beautiful people. 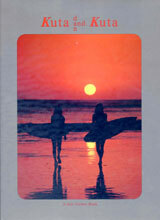 It is a book rich in local magic, Bali style, art, great surfing and a century of fascinating historical intrigues. 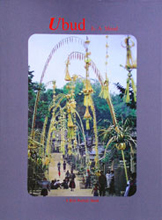 SANUR, THE BIRTHPLACE OF BALI STYLE is the first book ever created specifically about fascinating Sanur. 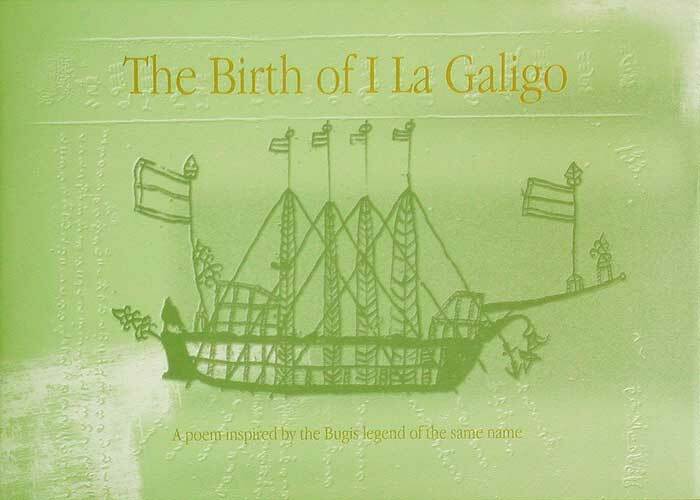 The book was written by six authors (Christopher Carlisle, Bruce Carpenter, Vaughan Hatch, Richard Lewis, Lorca Lueras, Putu Evie Suyadnyani and Miranda Suryadjaja) and was designed, directed and photographed by Leonard Lueras, the director of the Publications Division of the Yayasan Bali Purnati. Additional photographic contributions were made by the photographers Jason Childs, Jan Lovett and Gil Rosellini. Chapters of the Sanur book include special essays about Historic Sanur, The Art of Sanur, The Music and Dance of Sanur, Sanur Style, Voices of Sanur, The Magic of Sanur and Surfing Sanur. The South-Central Bali Town of Ubud has always been a pleasant place that was good for what ails you. Originally, this rice-rich village was more well-known to Balinese people as a cool and inland retreat where they went to consult local medicine men (balian-balian) and to purchase herbs and other types of medicinal plants. Hence the place name, Ubud, which is a derivation of the Balinese word ubad, (or obat in Indonesian), which means medicine. Ubud was indeed an early Balinese-style health spa where you went to be diagnosed and treated, and where you comfortably rested and recuperated until you felt well again. Beginning in the late 1920s and early 1930s this herb-rich village also began attracting visiting artists, writers and other creative types who enjoyed spending time in Ubud because it tended to be cooler and healthier than the more malarial lowlands or coastal plains of South Bali. It was also a much more socially amenable place than more urban parts of the island because it was quietly and tastefully governed by tolerant, sophisticated, amiable and fun-loving Tjokordes (or princes), the renowned Tjokorde Agungs of Ubud , who were always fun, amiable and who also enthusiastically welcomed and patronized artistes who wandered into their highland milieu. They were in marked contrast to the stuffy and sometimes harsh Dutch colonial bureaucrats who sternly ruled from the helter-skelter City of Denpasar and its flatland suburbs. Because of its natural beauty and stimulating ambience, Ubud soon began developing into an Eden-like colony of colorful artists, authors, filmmakers and world travelers. Life here was easy (both economically and physically) -- and Ubud’s administrators were arts patrons who reveled in your eccentricities. What could be better, so this paradisiacal scene, and its hedonistic denizens, soon began attracting international attention and the world’s beautiful people? Other Bali towns that were politically more important were overlooked and within a few short decades the town of Ubud blossomed, boomed and was always mentioned when one spoke of Bali, art, artists and a fine place to be. There is, however, much more to Ubud than meets the eye, so with that in mind please enjoy Ubud, the book, in which you will join a number of local and insightful folks who will relate -- in telling words and arresting photographs -- what the special “mood” of Ubud is really all about. KUTA AND KUTA or KUTA DAN KUTA, tells the remarkable story of how a previously sleepy Balinese fishing village on the Indian Ocean was transformed -- within a brief modern period of about 30 years -- into the number one visitor destination in this vast archipelago-nation we know as Indonesia. It is a look at Kuta's easy-going past and a zany present replete with culture, surfers, hippies and adventurers. KUTA AND KUTA is the third book in a new trilogy of books recently created about South Bali. 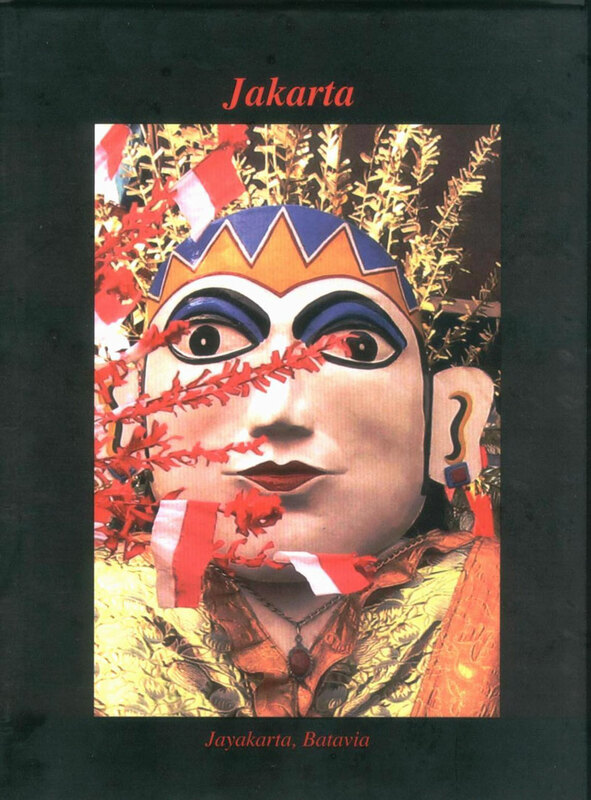 It was published by the Yayasan Bali Purnati and is a sequel title to two previous books published about Sanur (Sanur, The Birthplace of Bali Style, launched in Sanur on 4 September, 2005) and Ubud (Ubud Is A Mood, which was released in the Sping of 2004). The Kuta book was directed and designed by Leonard Lueras, photographed by Jason Childs, Christopher Leggett and Lueras, and written by Jeremy Allan, Bruce Carpenter, Richard Flax, Von and Evie Hatch, Kevin Lovett and Peter Steenbergen. It is an anthological compendium of Kuta-area history and Kuta today, complete with rare archival graphics and personal photographic looks at the Kuta of today. 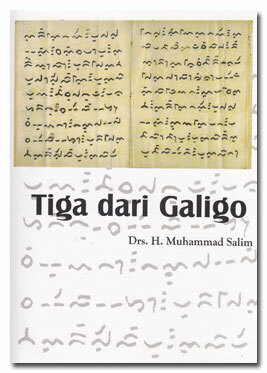 Jogja On My Mind, a book which includes insightful text essays and more than 250 pages of historical and contemporary four- color graphics, was launched in gala fashion on 15 September 2006 at a grand party held at the historical Taman Sari Water Castle within the Kraton Cidatel. This book was specially created by The Yayasan Bali Purnati (The Bali Purnati Center For The Arts) to formally and creatively honor the City –Province- Kingdom of Jogjakarta on the occasion of the 250th Anniversary Year of The Jogjakarta Sultanate. Jogja on My Mind is presently available to the general public in Bali either through the shops of selected book dealers or by contacting The Yayasan Bali Purnati directly at the following number or e-mail pints. The reasonable and standard retail price of this elegant publication is Rp 250.000 per Jogja book delivered to you within the general South Bali area. Jakarta the Vast National Capital and the “Mother City” of the Republic of Indonesia is one of the fastest-growing metropolitan places in the world. It has also for centuries been a very important and strategic Southeast Asian port city where some of the first encounters between the East and the West took place during the early16th century when the first of Asia-bound ships from Portugal sailed here in search of spices and other riches. Those pioneering Portuguese were followed nearly century later by Dutch, English and other early Asia explorers and ever since those times Jakarta has been the most important harbor city on the south side of the busy strait of Malacca. It has also always been a very cosmopolitan place, dating back to as early as the fifth century when its original port town, Sunda Kelapa, was frequented by traders form China, Japan, India, Vietnam and other parts of Asia. This colorful mix of people, languages and cultures continues even today because most of Greater Jakarta’s huge population is a mixtureof millions of people from throughout the Indonesian archipelago (and from others parts of Asia) who begin immigrating here following Independence (merdeka) in 1945. They have all chosen Jakarta as the place to seek new challenges, enjoy social independence and find greater prosperity. All books are available to order from us. Please contact our head office by email.